MOVE OVER MINIMALISM! Austerity has given way to boldness. The most authentic trend in residential interior design has been labeled “TRUE YOU”. It is a celebration of uncensored self-expression and one-of-a-kind spaces. Minimalism has reigned supreme for more than a decade. Less is more. Keep it simple. Neutrals are the base for any good design. Everything should be balanced. There should only be one main focal point. Today, there is a movement to use home and office environments as a personal canvas. Dress the walls and floors with personality, take design risks, and create something that inspires. It reflects a shift in culture that celebrates true self-acceptance and the “perfectly imperfect” … with a hint of rebellion. This is a maximalist response to the perennial minimalism trends, and it marches to the mantra “less is a bore”. It brings forth luxurious textures, bold prints, shiny fixtures, and raucous colors. Wall paper is back with dramatic oversized prints and fabrics that are textured and even three-dimensional. Everything is a conversation piece. Floors feature oversized and uniquely shaped tile. Furniture is colorful and visually enticing. Layered excessively in the space are emotionally evocative mementos and tchotchkes. While a push-back on minimalism is a key factor, it’s not the only reason we are seeing this trend. Globetrotting generations with a desire for personal expression are experiencing more of the world and bringing back the fashions and decorations from these excursions. It is a bit of escapism, a beautiful distraction from the political and cultural climates that we face in the day to day. It becomes a reminder of the beauty and complexity in many parts of our world. TRUE YOU is a trend that will have staying power. The rules and parameters of this look are undefinable. It exuberantly refuses restriction as it blends styles and ideas to encompass an authentic “dare to be you” mentality. There is no wrong direction, simply add more of what you love. Be generous with color and art. Strive for comfort with a smattering of glamor. Find pieces that spark interest and laughter. Perfection is not the goal, personalization is. Embrace your excessive side! Do you think this trend is on-point? Show us your TRUE YOU spaces! Send photos to us on Pinterest! Check out our Interior Design Board to our take on current design trends. 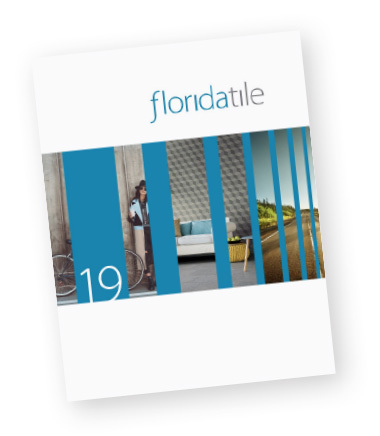 See Florida Tile that we think fits into this beautiful and inspiring trend.